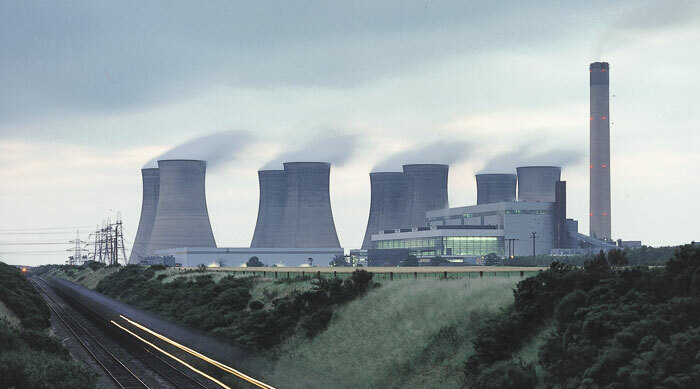 Eggborough Power (EPL) has announced that Eggborough power station could close at the end of March 2016. The 2GW coal-fired power station requires an additional £200 million over the next three years to continue generating power and owner EPL said this level of investment is “financially unsustainable” for the 53 year-old plant. EPL added that consultations with staff and further talks with government bodies are currently underway in relation to the expected closure. The company warned in 2014 that a closure at the end of 2015 was likely due to the escalating carbon tax and the investment needed to meet European Union emissions standards. Today EPL confirmed that a number of market and regulatory conditions had contributed to its financial situation, including falling power prices, the recent changes to the bidding rules for the government’s Supplemental Balancing Reserve and changes to the Capacity Market. Eggborough failed to win support for biomass conversion in 2014, but was bought by central European energy group Energetický a Průmyslový Holding (EPH), in November 2014 as part of a UK acquisition strategy. EPL said the closure could result in the loss of 240 jobs, although some staff will be required to support decommissioning and future business opportunities. EPL chief executive Neil O’Hara said: “We are deeply saddened at the prospect of potentially ceasing generation at Eggborough power station and believe that EPL could have a significant part to play in ensuring security of supply in the UK electricity market.